Angiogenesis is induced immediately after cerebral ischemia and plays a pivotal role in the strategy against ischemic injury. We hypothesized that the coordinated interaction between microvessels and neurons was altered immediately after stroke, and microvessels and neurons would show the temporal specificity of angiogenic gene profiles after cerebral ischemia. Microvessels and neurons were harvested in the ischemic penumbra of rat brain using the PixCell II laser capture microdissection (LCM) instrument. After RNA isolation, T7 and gene-specific primer RNA linear amplification were performed, and angiogenic functional grouping cDNA profiling was analyzed in LCM samples. 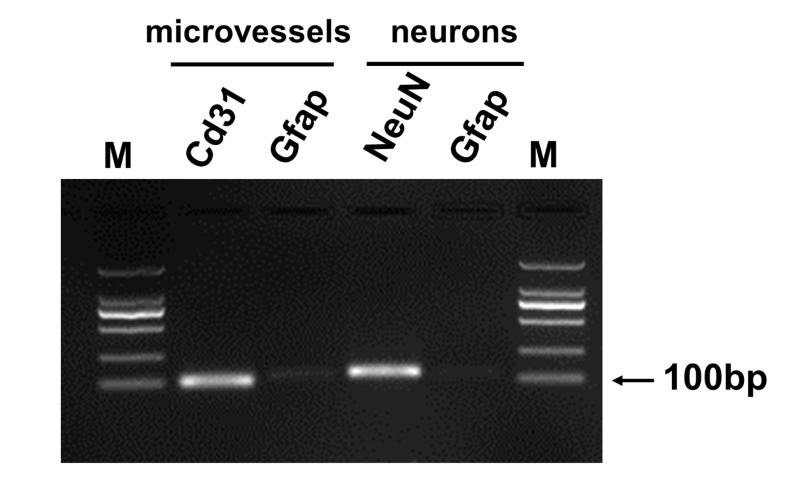 cDNA microarray results showed there were 35 (36.46%) and 27 (28.13%) genes expression changes in the microvessels, while 25 (26.04%) and 31 (32.29%) genes were changed in the neurons at 2 h and 24 h after cerebral ischemia. 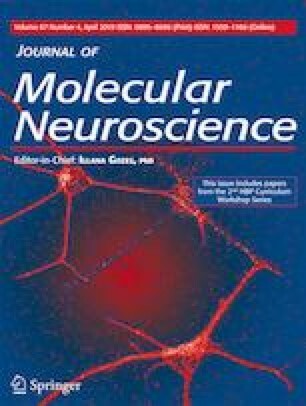 Members of growth factors and receptors, cytokines and chemokines, adhesion molecules, matrix proteins, proteases, and inhibitors showed temporal and spatial differentiation in the microvessels and neurons after cerebral ischemia. This finding will help to understand the coordination and interaction between microvessels and neurons, and to elucidate the molecular mechanisms of angiogenesis after brain ischemic injury. The online version of this article ( https://doi.org/10.1007/s12031-019-01270-7) contains supplementary material, which is available to authorized users. We thank the Laboratory Animal Research Center at Xi’an Jiaotong College University of Medicine for their animal care and support, and Xiaoge Zhao for slice cutting. TY and LY conceived and designed the experiments. ZP and ZJ conducted pMCAO rat models. TY, DY, CX, and ZJ performed LCM experiments. FT, FJ, and SM did immunochemistry experiments. TY conducted qPCR experiments. TY wrote the article with the insightful advice from FA. All authors read and approved the final manuscript. This research was supported by the National Natural Science Foundation of China (31371501), Natural Science Foundation of Shaanxi Province (2017JM8047, 2018JM7066), and the Fundamental Research Funds for the Central Universities (GK201702006), Shaanxi Normal University.